The key to a fresh and colorful interior decor is to use indoor plants. They instantly change the atmosphere and add that kick your decor needs to stand out and to feel complete. 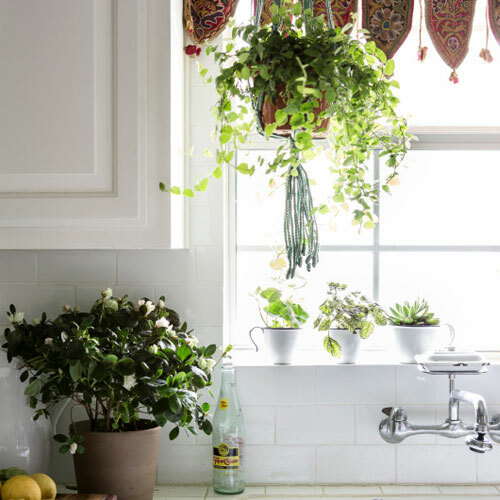 Decorating your kitchen with lovely plants can also make the place seem brighter and much more beautiful. However, there are certain plants that you can keep in the kitchen. This wall of plants isn't limited to the kitchen, but we can imagine it hanging next to the stove so you can pluck fresh herbs to season your soup with ease.